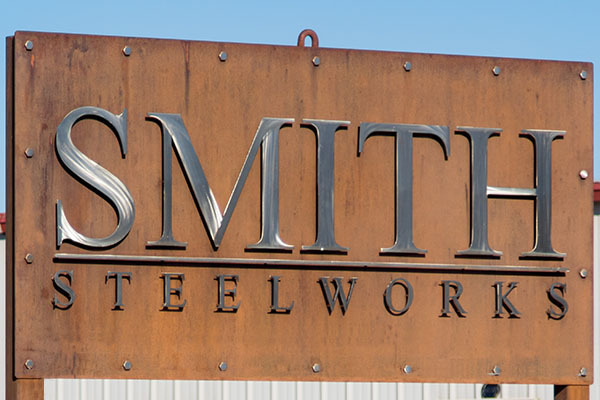 At Smith Steelworks, we manufacture outdoor signs that add beauty to the surroundings. 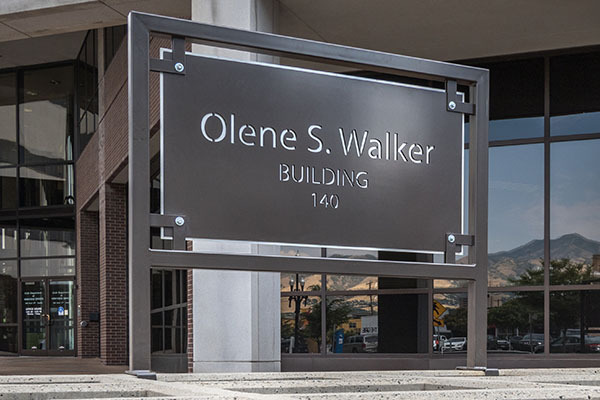 Each metal sign is fully customizable to match your vision. Our team offers powder coating and rustic finishes, along with one or multi-layer options. 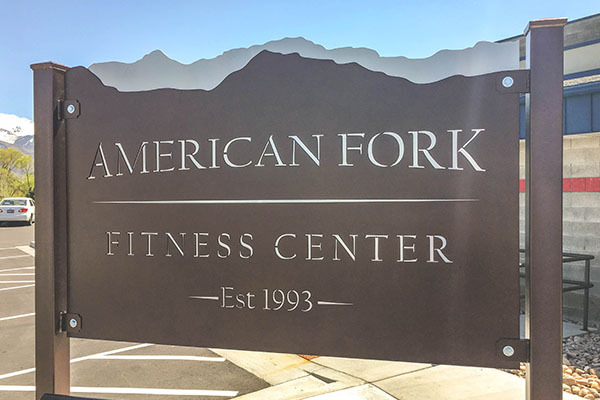 To get started on your outdoor sign, give us a call at (801) 414-1724. To begin, send us any design ideas that you have for the sign. This can be in the form of a Word Doc, AI file, or even scribbles on a paper. Our team of designers will take your ideas and come up with a sign design. A proof will be sent to you for final approval. The outdoor sign is laser cut, powder coated, and assembled. It is then shipped to you and ready to be installed. 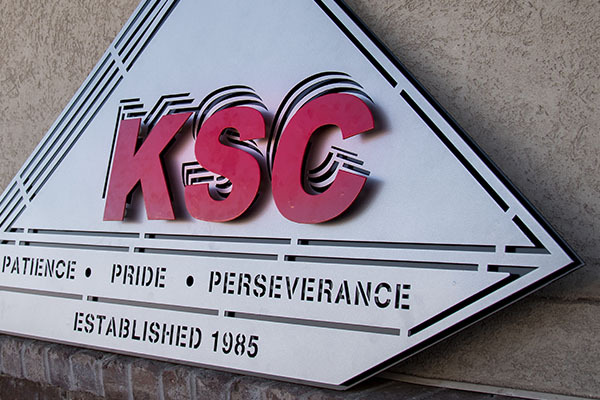 The outdoor signs are designed to enhance the look of your company’s building. Each sign has been specially created with you in mind. 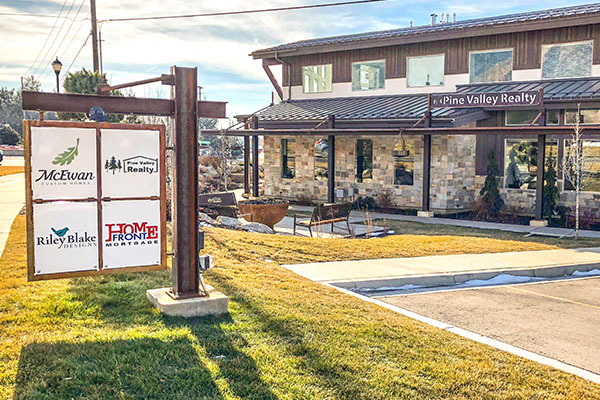 Our team takes your sign ideas and turns them into a reality made in steel. Whether your looking for a simple, one-layer sign or a multi-layer masterpiece, we are ready. No two businesses are the same, so neither are their signs. 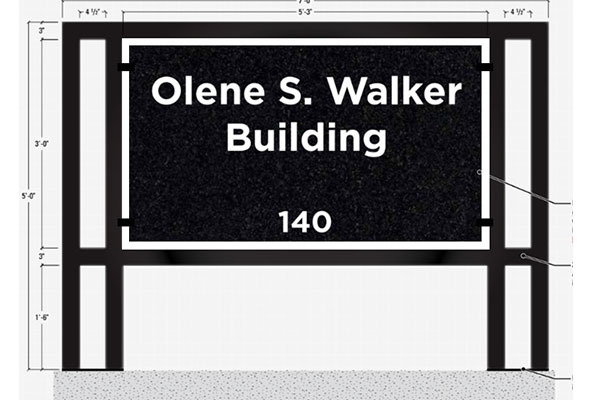 Each sign is custom measured and designed for easy installation options. Each sign is sandblasted, primed, and powder coated for a weatherproof finish. 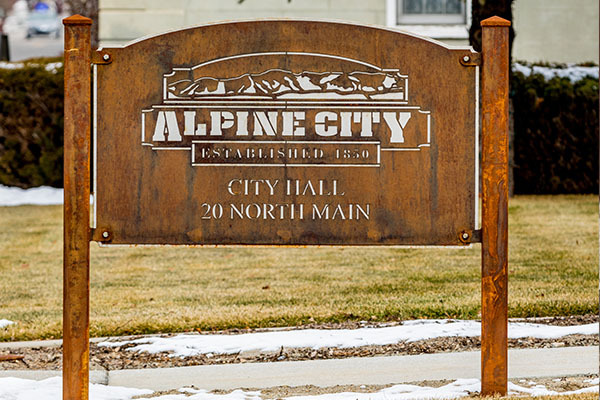 This keeps the metal sign free of rust and corrosion; resulting in a long-lasting product. 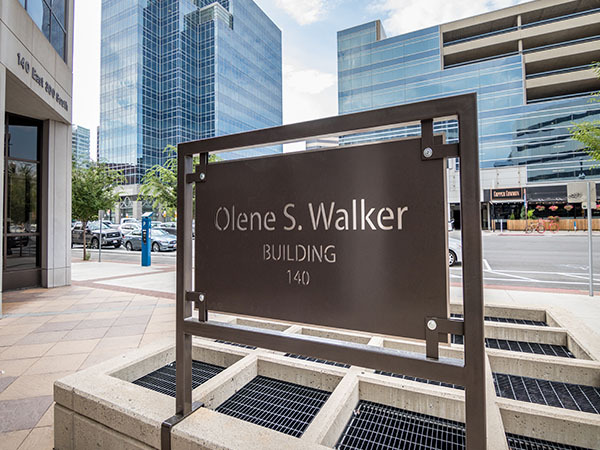 For outdoor metal signs, we offer three finishing options. Choose one metal finish for a recessive sign, or layer multiple metal sheets together. Rust and stainless steel are one of our favorite combinations. Powder Coat: Powder coat is applied to the metal through an electrostatic spray gun. It is then baked at 400 degrees. This process melts the powder into the metal and creates a durable, tough surface. The powder coat protects against rust and corrosion. Choose from our color selection here. Stainless Steel: The stainless steel is a sleek metal type that repels rust naturally. Outdoor signs look great with stainless steel lettering. 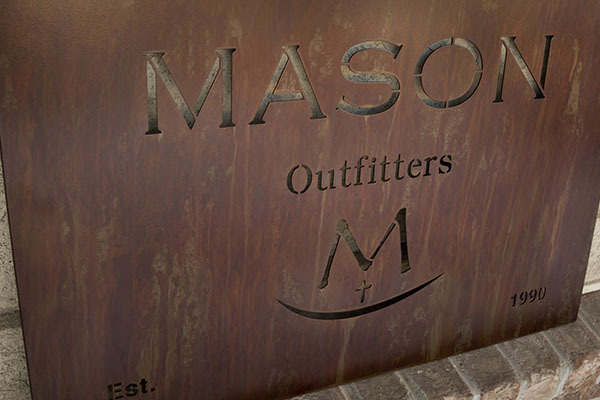 Rust: Rustic finishes combine a classic and modern feel to every sign. To get the rustic look, we upstart the oxidizing process. Once the sign is installed, it will continue to rust overtime. 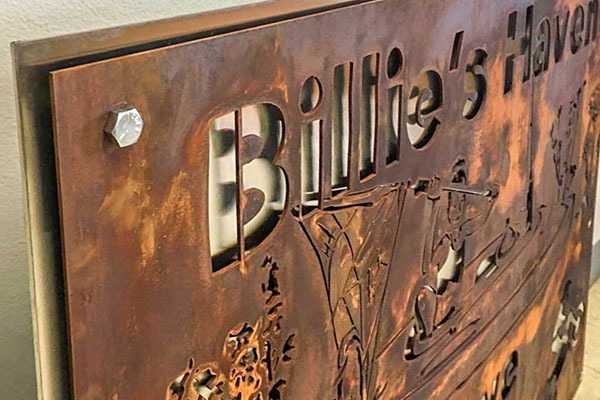 The stainless steel provides a beautiful contrast from the rustic finish laser cut metal sign. 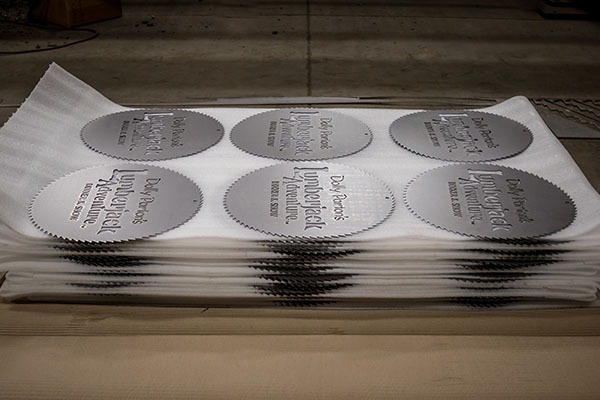 Stainless steel business signs provide a clean, crisp look to your outdoor office sign. 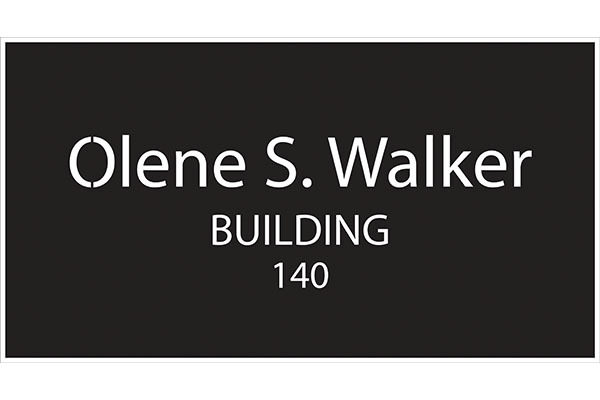 Incorporate your business logo into a commercial sign. You can view previous examples here. 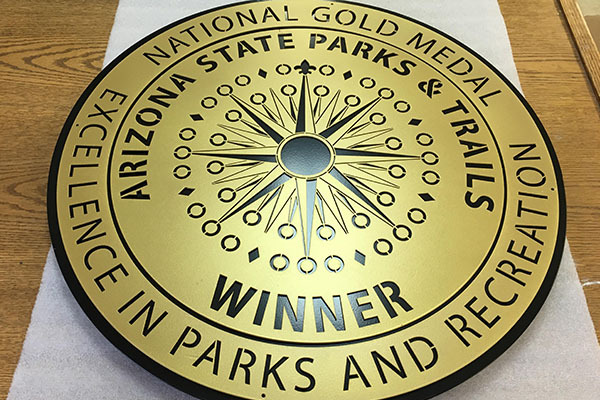 Thanks to our three step powder coating process, our signs are perfect for parks and recreation departments. 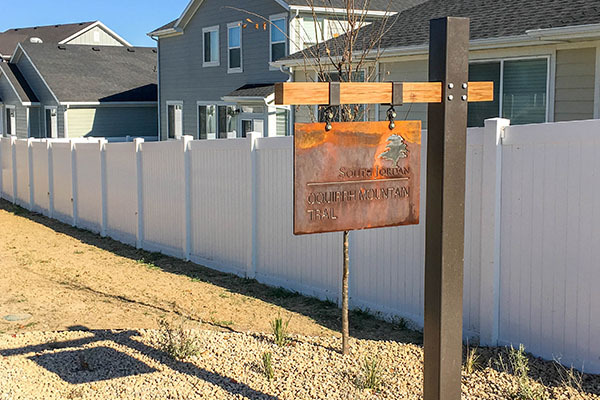 The community neighborhood signs are available with custom finishes, hanging options, and inscriptions.